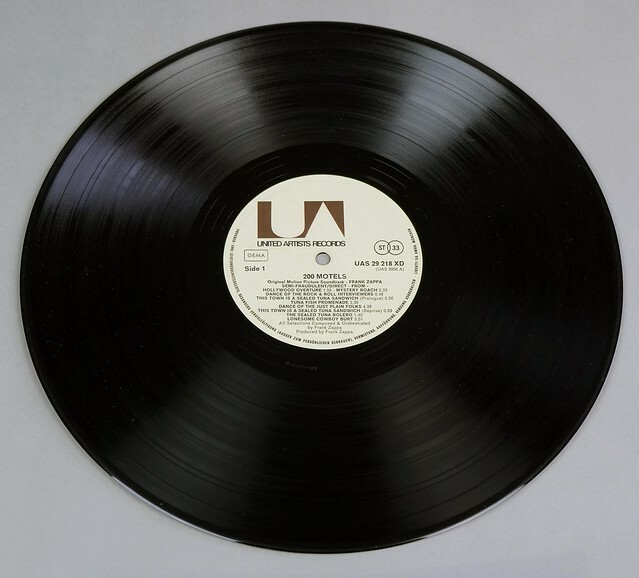 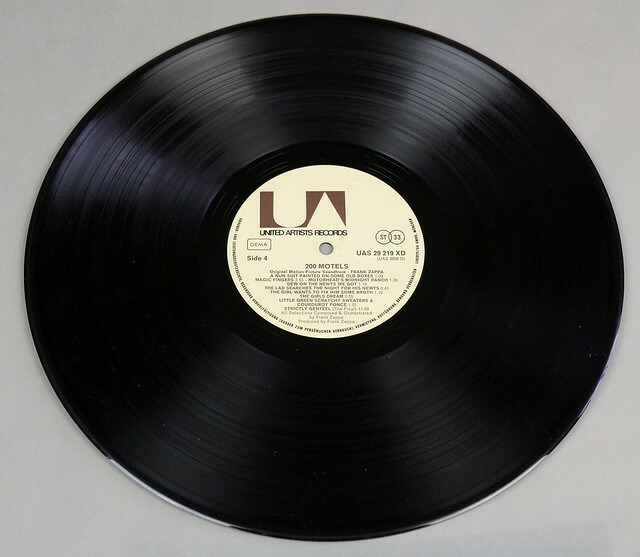 Collector's Info: This is the original first pressing from the Germany, with "... Liberty/UA GMBH Mumchen" and includes the booklet. 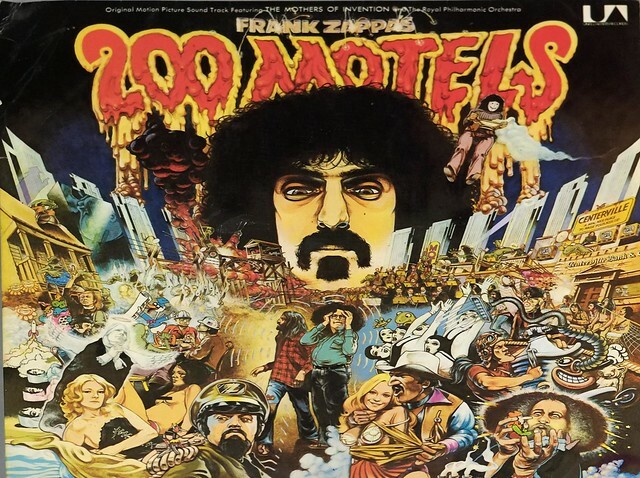 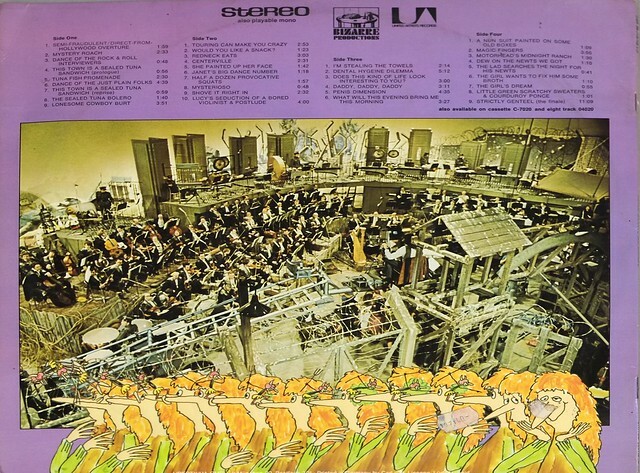 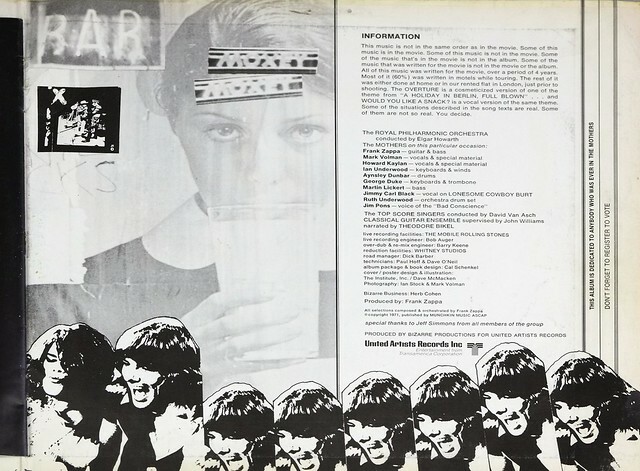 The album back cover has "Print in Germany by Carl Linnepe ..."
High Quality Photo of Album Front Cover "FRANK ZAPPA - 200 Motels Gatefold"
"200 Motels" is the 1971 American-British musical surrealist film cowritten and directed by Frank Zappa and Tony Palmer and starring The Mothers of Invention, Theodore Bikel and Ringo Starr. 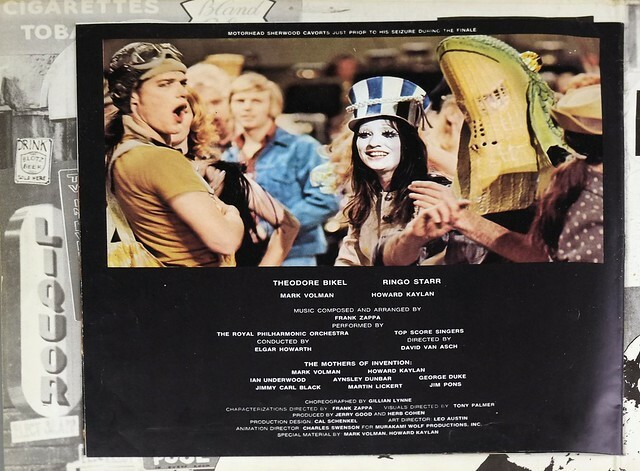 The film covers a loose storyline about The Mothers of Invention going crazy in the small town Centerville. This soundtrack album was released in the same year. 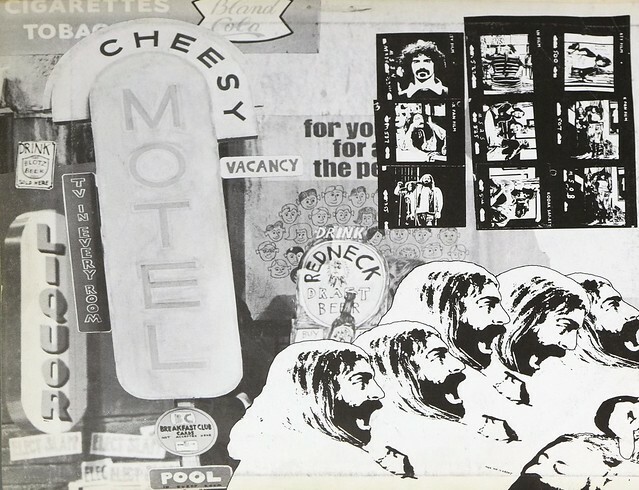 Complete Track-listing of the album "FRANK ZAPPA - 200 Motels Gatefold"